This product is the bees knees. My lips are always cracked and dry and this product works miraculously to moisturise them. You get instant moisture. I would highly recommend this product, before using any matte lip product. It makes a huge difference. I used this product mostly when i use matte lipsticks. It does make a difference and your lipstick doesnt move in all directions,but for me I feel it doesn’t moisturize my lips. I for one am a huge fan of this primer. It’s helped me with my lips especially since I suffer from chapped, dry lips.. Although I find it to be abit pricey, and another downfall is that if you use it everyday, it won’t last you long. 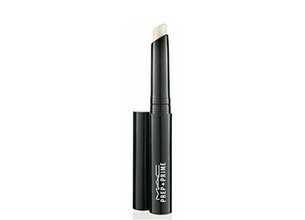 It works great with matte lipsticks, apply two layers and then add your matte lipstick for smooth application. It actually revives your lips so that your lipstick looks great and lasts longer. If you can find the budget for this, I recommend it! I can’t do without mine. Every winter (and even in summer sometimes), I struggle with my lip colour. Because my lips are quite dry, I find that my lipstick only lasts for about an hour before it starts to crumble and look “cracked.” I started using this primer about a week ago and I am amazed by the results – if only I had known about this earlier! I apply a lip balm (a very thin layer) and lightly massage it into my lips. Then I apply a few coats of this primer, let it set for 5 minutes, and then follow with my lipstick. Not only does my lipstick last much longer, but my lips actually look soft and nourished. The colour doesn’t flake off and there’s no “cracking” effect. I find it works especially well if I gently exfoliate them beforehand. This is a must-have for any lipstick lover!